Police in P.E.I. 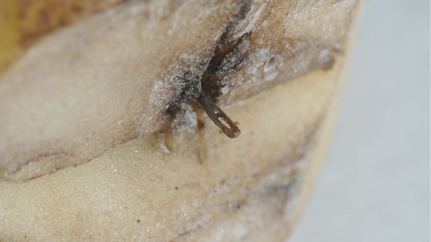 say sewing needles found in potatoes throughout Atlantic Canada appear to have been placed deliberately. An investigation into food-tampering began earlier this month. As of Wednesday, there have been six reports from consumers who discovered metal objects in their spuds. It’s believed all of the potatoes were harvested and packed by Linkletter Farms of Summerside, P.E.I.